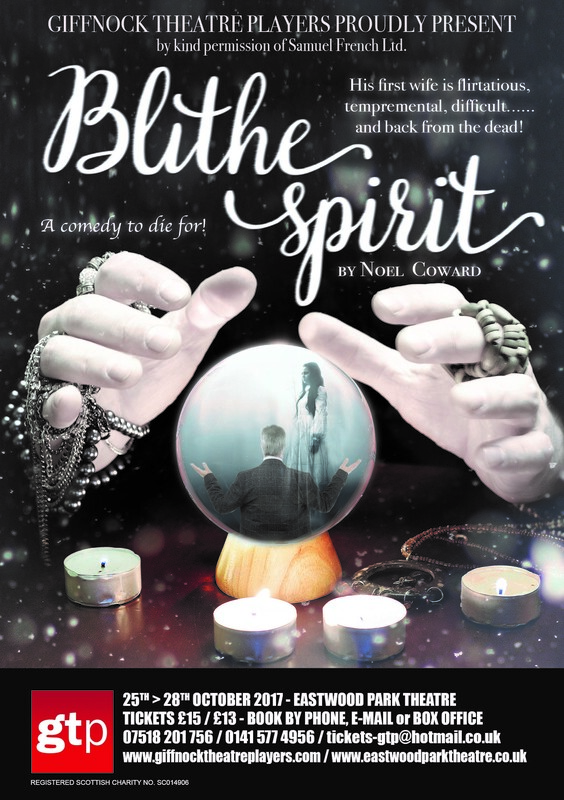 Noel Cowards smash hit comedy of the London and Broadway stages is brought to life by this long established South Side theatre company. Fussy, cantankerous novelist Charles Condomine, re-married but haunted (literally) by the ghost of his late first wife, the clever and insistent Elvira who is summoned by a visiting “medium”, one Madam Arcati. As these worldly and unworldly personalities clash, the “Blithe Spirit” haunts the hapless Charles into perpetuity.